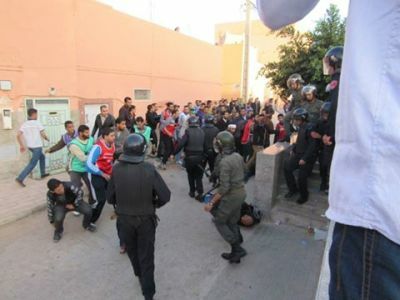 Several Saharawis were allegedly injured in a demonstration in El Aaiun yesterday, in which youth demanded employment opportunities on their own land. Among them a 34 year old law graduate. 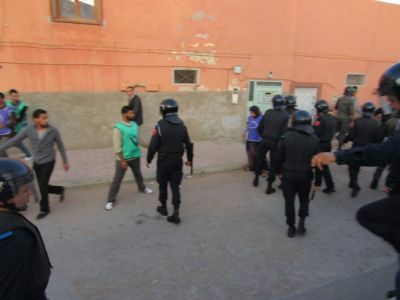 “Two officers took my banner from me, on which I had written that the wealth of natural resources in Western Sahara should guarantee me a job”, stated Abd Ali Ansari, a 34 year old unemployed Saharawi. “Then they pushed me and hit me in really sensitive parts of my body. I fell to the ground and I was trampled on. I believe my nose is broken”, stated Ansari, who holds a master degree in private law. Western Sahara Resource Watch was in contact with Ansari today via a friend of his. Last month the director of OCP, Mustapha Terrab, on the occasion of the celebration of the 40th anniversary of the Moroccan occupation of Western Sahara, promised 500 jobs at the Phosbucraa phosphate factory, for startup from January 2016. The follow-up of that promise was the trigger that sparked yesterday's demonstration. 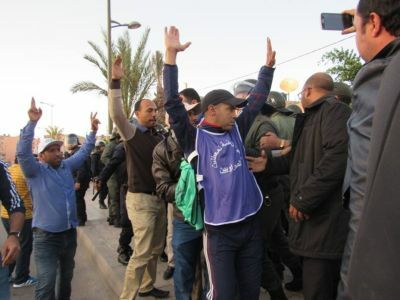 “When OCP later announced the qualification criteria, it appeared that the job opportunities would go to non-Saharawis. 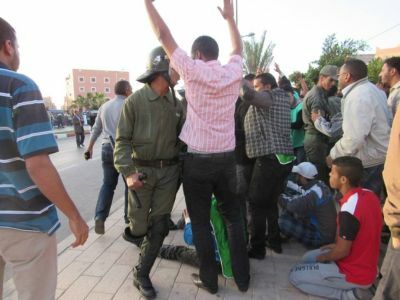 You see, Saharawis are not allowed to take certain careers at the Moroccan universities. In order to apply, one needed qualifications that are unavailable to us”, stated one of the participants of yesterday’s events to WSRW. 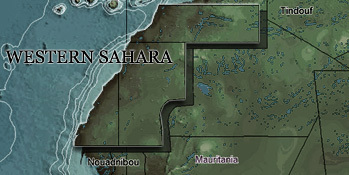 After 40 years of occupation, there are no universities in Western Sahara proper. 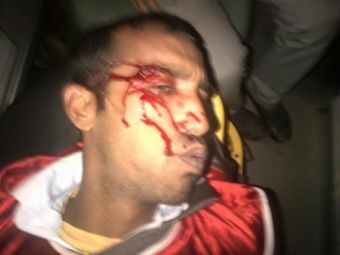 Around two dozen demonstrators are said to have been injured in the events in El Aaiun yesterday afternoon. WSRW has not received independent confirmation about the veracity of the numbers of injured, but has been in contact with one of the injured. 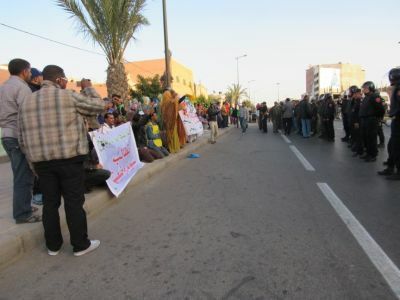 The demonstration took place at 5pm yesterday evening, on the Matala Street. 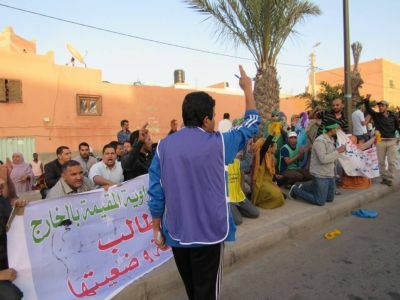 The demonstration was organised by a group calling itself "the Sahrawi coordination of unemployed graduates and other deprived people". The majority of those demonstrating is said to have been graduates with university degrees. One of the demonstrators told WSRW that they all remained peaceful and did not block the traffic. One eye-witness says that the demonstrators were being attacked and abused by uniformed and plain clothed security service personnel. 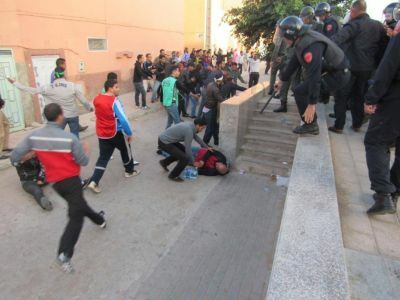 The Moroccan Auxiliary Forces are said to have followed some of the injured to the hospital, where they were harassed. 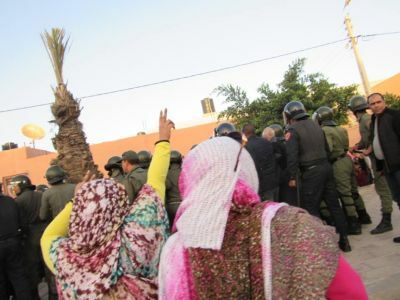 Morocco’s state owned phosphate mine is the biggest employer in the occupied territory. 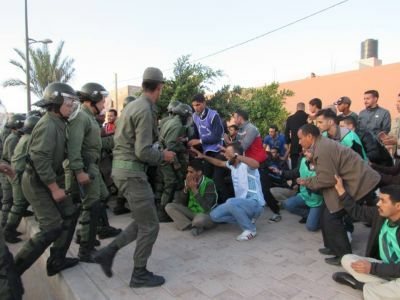 Morocco took over the management of the mine only few weeks after the occupation, in the last months of 1975. The last years, WSRW has made annual reports on whereto this phosphate rock is exported. Four importers have halted the imports over the controversies.